The Fulbari Resort & Spa Pokhara Nepal Highly Commended Status for the Conservation International Ecotourism Excellence 2000. 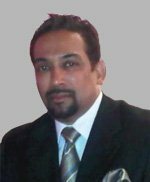 Desmond Silveira has developed his professional career through expansion of his interests and skills internationally for more than 30 years. Educated in India his academic major was Architectural Interior Design and Textile with a specialization in Weaving and a general study on the history of Art and Architecture from the Sir J J School of Arts and Architecture. His earlier career involved working with a private industry as a Designer of carpet and textiles in Asia. Developing color palettes and patterns for the carpet and textile industry was an integral part of his earlier professional work. Capitalizing on this experience Desmond Silveira began his Architectural Interior Design work for major hotel projects and in 1986 relocated to Hong Kong to expand his horizons by being associated with one of the leading international Hotel Design organizations Chhada Siembieda & Associates. Continuing his focus with the Hospitality Industry, his work expanded to include the Conceptualization and Interior Architectural detailing of Hotel spaces, interior furnishings and equipment. Through his background as Project Director, Desmond Silveira contributed to proposal formats, by direct coordination with the owners, operator, consultants, contractors and suppliers. This comprehensive background in Interior Design and Project Management was the base for establishing Desmond Silveira Design Limited in 1995, an Interior Design consultancy based in Hong Kong, and 1999 in Toronto, Canada with a specialization in the Hospitality Sector. A majority of the Projects are spread throughout Asia, Canada and USA some of which are The Hilton, The Holiday Inn, The Radisson, Park Royal, The Park Inn, The Oberoi, Dusit Thani, Wingate, Holiday Inn, Ramada, Hans Hotels and Sheraton.